These are some of the most frequently asked questions by Linux beginners, “is there a task manager for Linux“, “how do you open task manager in Linux” ? People who are coming from Windows know how useful is the task manager. You press the Ctrl+Alt+Del to get to task manager in Windows. This task manager shows you all the running processes and their memory consumption. You can choose to end a process from this task manager application. 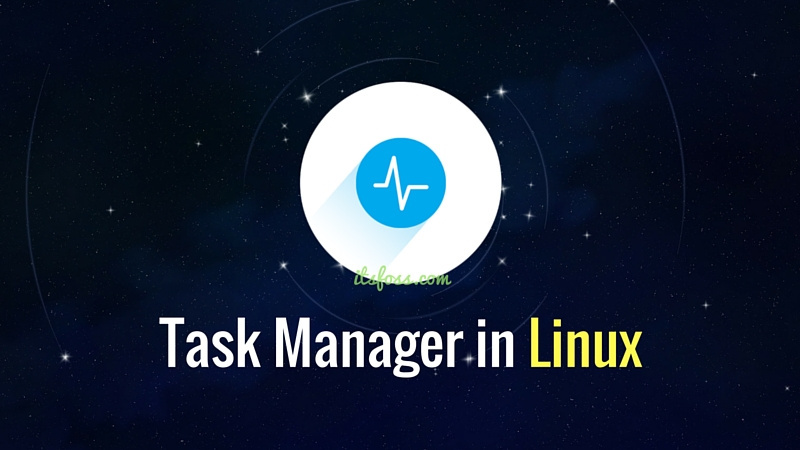 When you have just begun with Linux, you look for a task manager equivalent in Linux as well. An expert Linux user prefers the command line way to find processes and memory consumption etc but you don’t have to go that way, at least not when you are just starting with Linux. All major Linux distributions have a task manager equivalent. Mostly, it is called System Monitor but it actually depends on your Linux distribution and the desktop environment it uses. In this article, we’ll see how to find and use the task manager in Linux with GNOME as the desktop environment. When you start the System Monitor, it shows you all the running processes and the memory consumption by them. You can select a process and click on End process to kill it. You can also see some statistics about your system in the Resources tab such as CPU consumption per core basis, memory usage, network usage etc. This was the graphical way. If you want to go command line way, just run the command ‘top’ in terminal and you can see all the running processes and their memory consumption. You can easily kill processes in Linux command line. This all you need to know about task manager equivalent in Fedora Linux. I hope you find this quick tutorial helpful. If you have questions or suggestions, feel free to ask.